We really hope you never have to call 911. But because it could happen to anyone, anywhere, at any time -- someday you may need to make that dreaded call. Now you can place that emergency call with a minimum of taps on your phone and without having to fumble around with your keypad. The single goal of NineOneOne was to create an application for the iPhone that would drastically, yet practically, reduce the number of taps to make the call to 911. 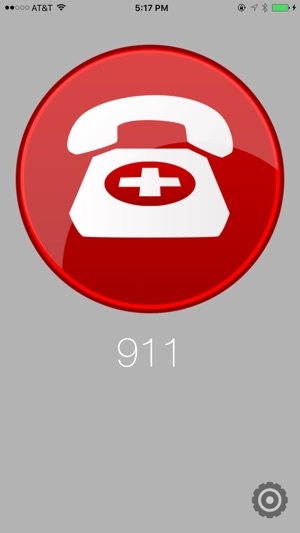 A typical call to 911 would take approximately seven taps: Home, Phone, Keypad, 9, 1, 1, Call. NineOneOne reduces the required number of taps down to four in its default configuration: Home, Launch App, Big Button, Confirm. This can be further reduced down to only three taps in a configuration setting, which bypasses the confirmation step altogether. The Big Button leads the way to safety - large enough to find and tap in an emergency setting. NineOneOne prevents accidental dialing, while remaining incredibly easy and straightforward. NineOneOne's Emergency Number can be set to any number, and the Dial Warning can be disabled to reduce number of taps even further - allowing you to make your emergency call immediately. NineOneOne was designed and developed by Evan K. Stone. It was inspired out of the simple need to be able to contact emergency services in one's area quickly. Other projects were put on hold to get this out the door and into the hands of people who needed it the most. 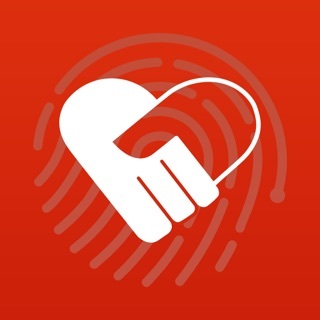 - Updated messaging for placing an emergency call. 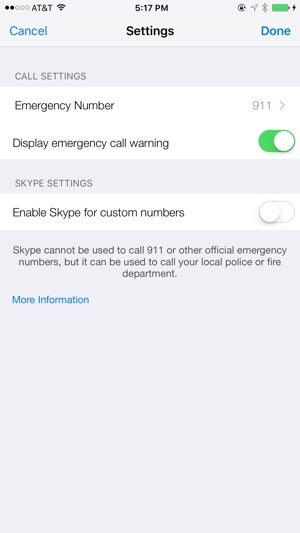 - App now shows a new alert for devices without a phone if Skype is also not currently installed. - Crash reporting added for better customer support. - Emergency phone number preview right beneath the Big Button! Now you can see exactly what the emergency number is set to *before* you dial it. - New Settings view looks consistent with iOS Settings. - Tech Note: Complete rewrite for iOS 8 and 9 in Swift and Storyboards! 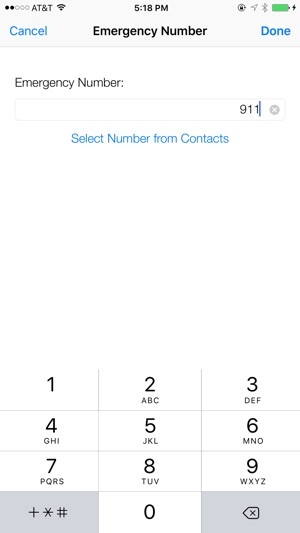 - Major UI update to the look and feel of NineOneOne to fit better in iOS 7. - Support for Skype calls. - Added selection of emergency numbers from your Contacts, greatly simplifying the emergency number selection and entry process. - Fixed a bug that prevented calls to be placed if the "Call Warning" option was set to "OFF." Calls can now be placed in either mode. Updated for iPhone X and iOS 11. I just made a test call. It routed through Mckinney's 911 system as a Phase II call with my ANI and the address of the cell tower. This developer is working with the 911 entities and telcos. Hope part of the app cost goes to the 911 entities. The next step is for the actual call location to be displayed on a map for accurate dispatching. I've work in the 9-1-1 industry for almost 25 years and it's great to see this development and testing. Good stuff.